An incredible academic experience awaits Nativers who study at the Hebrew University of Jerusalem. These students learn from teachers who are at the forefront of their fields, and they have the opportunity to visit the historical locations about which they learn. The Hebrew University portion of the year is divided into two parts; a mini-semester before and during the chaggim solely for the Nativers, and the regular fall semester. Individual counseling with an academic advisor is scheduled for every Nativer during the registration period. In addition, Nativ staff members are always available to assist with any academic issue that may arise during the semester. 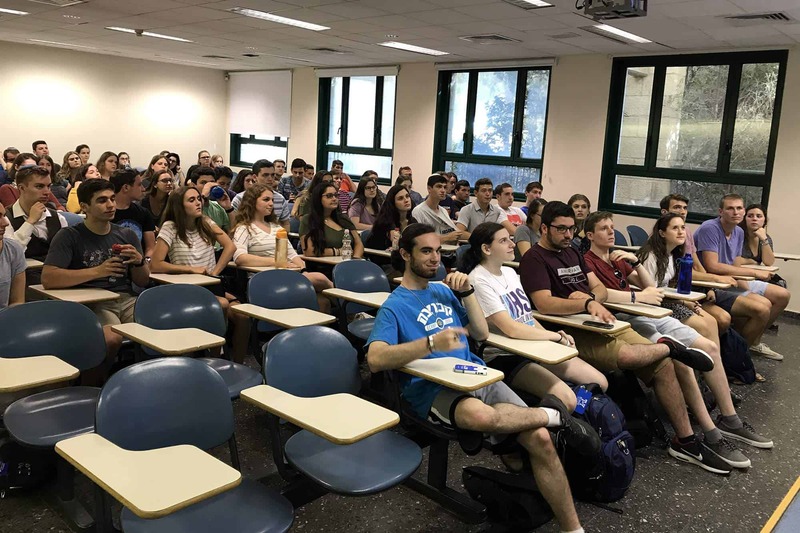 During the regular fall semester, Nativers select classes from the wide range of engaging and challenging courses offered by Hebrew University. All classes are held at the Rothberg International School, which is located at the Mount Scopus Campus of Hebrew University . Students can register for courses in Jewish, Israel, religious, or Middle East studies, as well as general studies courses from the One-Year and Freshman Year programs (12-16 credit hours). Each Nativer also enrolls in a six to eight hour Ulpan (Hebrew language study), placed by level, to improve Hebrew reading, writing, and speaking skills. Nativ participants who meet the Hebrew requirements may take courses taught in Hebrew. Listed below are some of the courses that have been offered at the Rothberg International School over the last few years. For a full listing see the Hebrew University website.